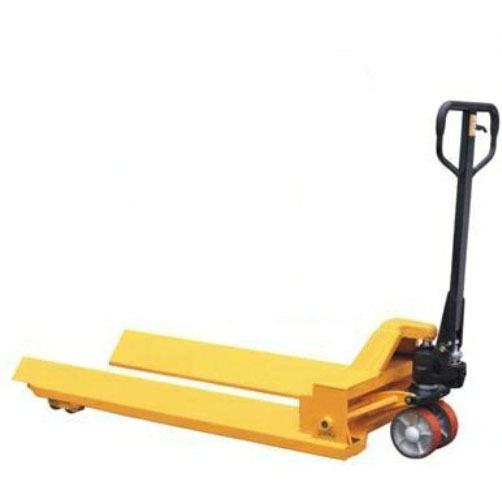 A reel carrying pallet truck or roll carrying pallet truck is ideal for transporting such things as textile rolls, paper rolls, drums and other cylindrical shaped loads. This model has a larger than normal load capacity of 2000kg, as well as double tandem polyurethane rollers. It features a top quality hydraulic pump which has a controllable lowering hand control and 3 position lever. Grease fittings are fitted at key points.